If you are just starting out your own website, trying out blogging, doing some affiliate marketing, then your primary concern would be finding an affordable hosting service that serves the basic needs of your new venture. 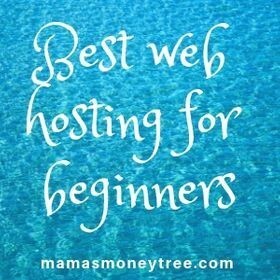 Here I will show you the best web hosting for beginners, and why I recommend them. They have been around since 2002, they know the industry, requirements and expectations of internet users, and have adapted to thrive in this competitive sector of web hosting. These are just some of the prestigious awards in recognition of their high speed and reliable hosting, as well as their page builder, which has a drag and drop easy-to-use interface. 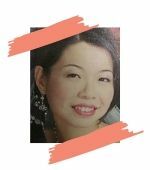 The most important drawing point still boils down to the pricing, and the different plans offered to businesses at different stages of growth. The web hosting plans offered by HostGator are three tiered: Hatchling plan, Baby plan, and Business plan. The hatchling plan is the cheapest option, and is all you need if you are just starting out with one website. It is easy to install, has unmetered bandwidth, and free SSL (secure sockets layer) certificates, which will help so much with your SEO (search engine optimisation). There are other additional features that come along with this plan. With the current promotion, you can get a 60% discount if you sign up for their 36-months package. If you have plans to build more than one website within the first couple of years, then the Baby Plan would probably suit you better. The Baby Plan offers unlimited domains, on top of everything in the Hatchling Plan. My personal take is to take the Hatchling Plan first, since you will start with one website and use all your time and effort to work on this one website to make it work, and start earning an income. Once you get the hang of earning through affiliate marketing, you may decide to set up a second website and more. When that time comes, you can always upgrade from Hatchling Plan to Baby Plan, at any time even within the 36-months package that you originally signed up for under the Hatchling Plan. You just have to pay the price difference. 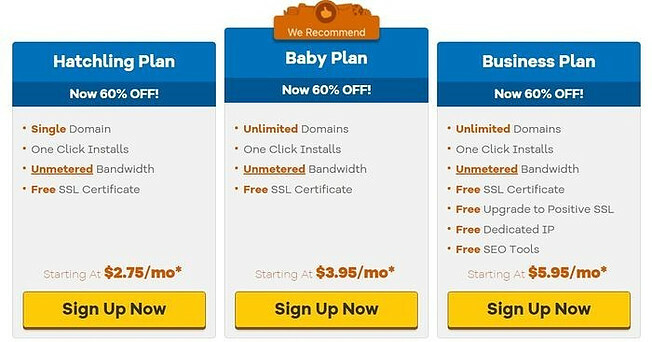 The Baby Plan is a really great deal, as you get unlimited domains at such a very low price. Again, make use of the 60% discount by signing up for their 36-months package. On top of everything offered in the Baby Plan, the Business Plan also includes additional features of free upgrade to positive SSL, free dedicated IP, and free SEO tools. With a free dedicated IP (internet protocol) address, your email service will be greatly enhanced, and you have greater security for your customers’ data. So the Business Plan is suitable for your expanding business when you get high traffic to your site, or if yours is an e-commerce website. As always, take the 36-months package to enjoy a 60% discount. The 2 million satisfied customers speaks for itself. HostGator has a great reputation, and has been in the industry for years. It provides trustworthy and reliable hosting services to its users. If there is any down time to your hosting, HostGator offers to credit you the month’s services. That is the assurance and confidence they are able to give to their customers. The Baby Plan, with its unlimited domains, must be the best value deal you can ever find in any hosting service. This gives you great flexibility and freedom to set up any number of websites you want, without worrying about increasing hosting costs. Some affiliate marketers find great success in ultra-targeted niche with small websites, or even seasonal niche. Then HostGator’s Baby Plan would be perfect for them. Besides the three plans described here under web hosting, HostGator also provides many other types of hosting plans to cater to different needs of different types and sizes of businesses. They have Cloud hosting, VPS (virtual private server) hosting, as well as dedicated hosting, just to name a few. As your website grows in traffic and earnings to a substantial amount, you can start looking at these other types of hosting that would meet your needs better. So that is the beauty of HostGator’s range of services, they cater to everyone, from start up businesses to big enterprises. They grow with your businesses, so that even as your needs change, they will always be there for you, you do not having to change up your hosting service provider. This is important for security of your customers’ information, as well as payment transactions. Search engines have a strong preference for secured sites, for obvious reasons. So it will certainly help with your website’s SEO (search engine optimisation) to have an SSL (secure sockets layer) certificate. This is a value-added customer service, as some other hosting providers charge more than $100 for every website transfer. HostGator could have easily done the same to reap more profits, but they choose customer needs and quality service first. HostGator provides 24/7 customer support, every single day of the year. 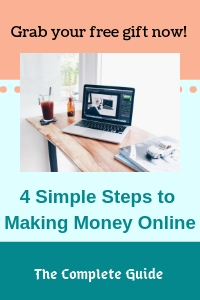 This is crucial to any business, as any down time to a website that is not addressed and resolved immediately simply means losing potential visitors, and hence potential income. Some hosting providers throw in one free domain for the first year when you sign up with them. HostGator does not offer this. So that would be a small minus, when you compare with some other companies. HostGator charges at an average of $15/year to $16/year for a typical .com, .net or .org domain name. So I would say it’s not too big a loss at all that they do not offer this free of charge for the first year. A live chat is supposed to be immediate, but there are times, probably during peak periods, when the response time can be as long as a few minutes. When a live chat service is available, people would not be very patient to have to wait beyond half a minute to one minute. So this is one area that HostGator can improve on, though most times they are just great in replying quite instantaneously. As you can see, HostGator is one of the top hosting service providers, and offers versatility with the growth of your business. You can start with a small and cheap hosting plan, and as your website and business grows, you can upgrade anytime to a plan that meets your traffic and security needs. From hatchling to big enterprise, you don’t ever have to change your hosting service provider, once you choose HostGator. If you have any comments or thoughts about this best web hosting for beginners, do feel free to leave them in the section below.